These Adaptable Tables can be adjusted and inclined instantly without the use of tools. Let everyone learn and create with Adjustable Drawing Tables from Diversified Woodcrafts. These flexible tables will fit perfectly in a student or professional art studio. A wide height-adjustment range can fit students all the way from elementary school through high school and beyond. 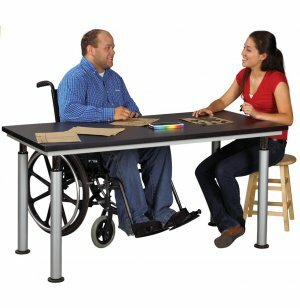 These ADA-compliant art tables can be set at the perfect height for sitting, standing or display purposes. A quick and smooth tool-free adjustment mechanism on each leg enables you to set each side independently to create a drafting table with an incline that is ideal for sketching. 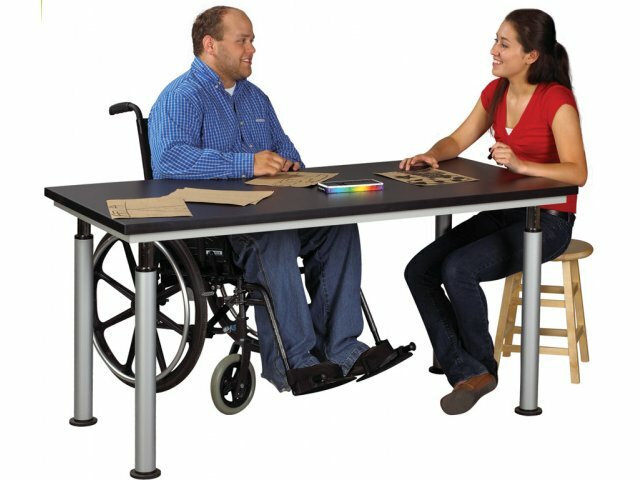 The flexible design of these drawing tables makes them ideal for various applications with students of different ages, needs, and skill levels. Adjust the height of one side to create an incline table. Powder coated legs with adjustable glides. 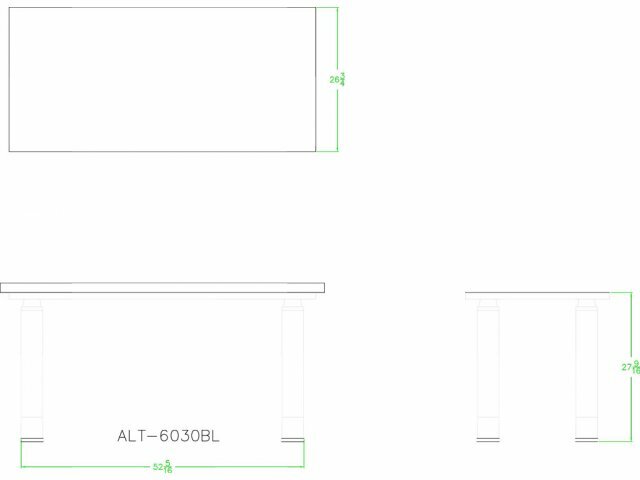 60"W x 30"D x 23-38"H.
No-Tool Adjustment: Unique table leg design lets you adjust height in less than 30 seconds, without any tools. Multipurpose: Independent leg adjustments enable these tables to be used for drafting and sketching. Wheelchair Accessible: Adjusts from 27-42" in ¾" increments to accommodate students of almost any age. Durable: The laminate top wipes clean easily, and a powder-coated finish on the legs resists scratching.